Adhere layer C on top of layer B. 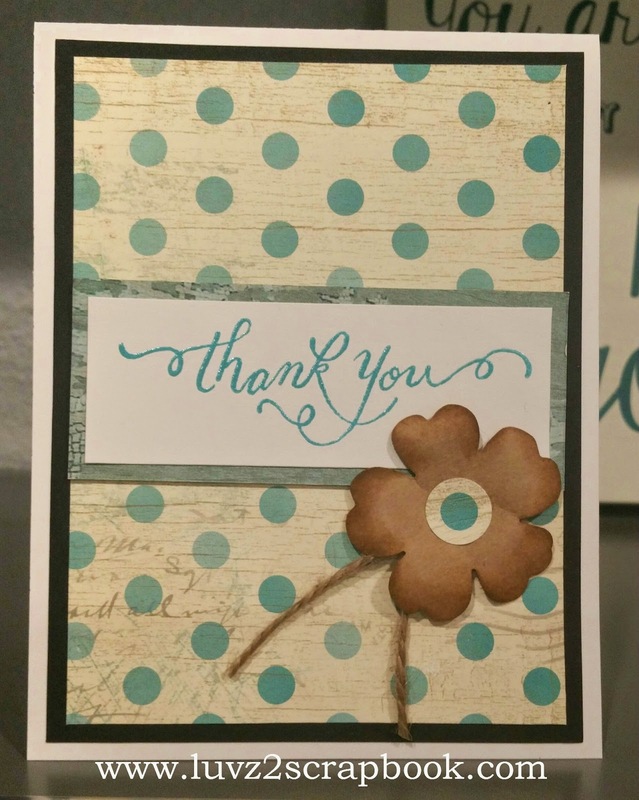 Stamp the "Thank You" sentiment using the Lagoon Pigment Ink on a 1" X 3.73.75" White Daisy card stock. 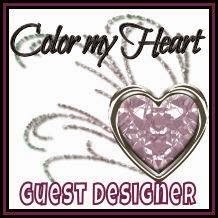 Add Ranger Clear Superfine Embossing Powder and heat set with a craft heater. 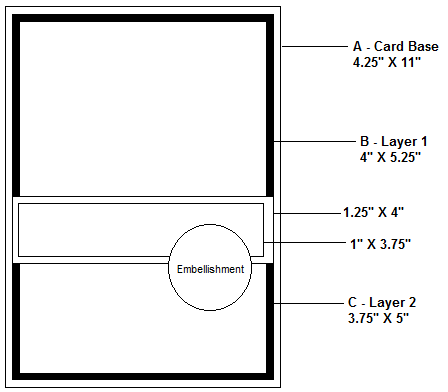 Adhere to center of layer of 1.25" X 4" Seaside Paper. Adhere at 2" from the bottombottom of layer C.
Add flower embellishment and hemp twine, attach using 3-D foam tape.